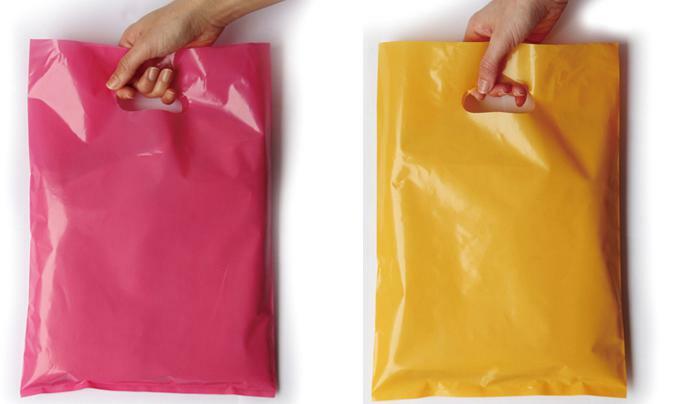 Printed die cut bags are an efficient promotional item. It's a high-end promotional packaging option that ensures your brand has a huge impact on your customers, perfect for fashion retail stores and department stores, as well as for your next show and event. Printed die cut bag is the most popular and economical trade bag. These powerful custom printed bags are ideal for trade show participants to collect samples or collect information. With ample footprint for your logo and custom artwork, these promotional printed die cut bags are sure to adapt to your marketing efforts. - Bearing test: 5KG dumbbell. - Good packaging will make your products more popular. - 100% LDPE or HDPE, the surface is smooth, hand feeling is good, have good toughness. - Environmental printing ink for more clear graphic and more exquisite printing.